Haydn’s ‘The Creation’ (Die Schöpfung) written a couple of years before the end of the 18th century is counted his master work. It sprung from a visit to England, and was prompted by a variety of sources – Handel’s large scale choral works, the Gospels (Genesis and the Psalms), Milton’s ‘Paradise Lost’ – and maybe even a visit to Herschel the astronomer. This was the first time I had heard it in performance, though I’veowned a couple or recorded versions, and I was curious about my response since I’ll confess I hadn’t really ever taken to it – in contrast to his ‘Creation’ Mass (Schöpfungsmesse) whose liveliness (the way the Kyrie kicks in and takes off cheerfully after a couple of minutes, for instance) has always attracted me. Haydn wanted people to be cheered by his religious works – as an introductory note in the concert programme indicated – but, as I say, I just hadn’t got that reaction to his main oratorio. The same programme note, without singling me out, covered the point by dismissing ‘supposedly more liberal Romantics’ who wanted things more ‘monumental’ as in Beethoven and Bach. Okay, guilty: though not quite as charged. I had always felt ‘The Creation’ needed a bit more infusion of spirit; and if it was supposed to be ‘charming’ too, I had yet to feel it – at least not much to compare with Mozart in the same department. Well, luckily, this performance by the Scottish Chamber Orchestra, with conductor Harry Christophers, and the SCO Chorus under the direction of Gregory Batsleer, along with three cracking soloists, set all to rights. That’s good and proper; after all, I share a birthday with Haydn – though not quite in the same year at school. So what happened to turn me round? Well, everything was fully professional about this ensemble – and every element contributed to the evening’s success. The prelude or overture was maybe ‘solid’ as the Americans say, rather than inspiring, but the woodwinds were already coming through, and before very long the quality of the artists overall was established clearly. The baritone, Matthew Brook, as Raphael and Adam, carried more than his fair share of recitative early on, but his range and phrasing in passages showing ‘the face of the deep’ and ‘the light and flaky snow’ for instance were beautifully conveyed. He created a fresh dimension in the second part by the slightest means: bringing humour to the catalogue of animals, down to the ‘host of insects’ and ‘with sinuous trace the worm’, lighting up the audience with his inflections. He always had presence to add to his authority in his solo arias, and fine judgement in tone and ‘touch’. Sophie Bevan, soprano, as Gabriel and Eve, from the outset had energy and flexibility, and brought immediate vivacity in combination with the choir offering praise;this was lyricism with strength and grace in embellishment, and she perfectly placed the highest notes required of her. There are some good opportunites for the soprano here, like the aria in F major ‘On mighty wings..’, and Bevan was certainly equal to them; but her work as part of chorus and trio was also there to be appreciated. I was especially struck by her part in the rolling line repeated and sustained as ‘His glory lasts for ever, and for evermore’. Her duet with the tenor (and a grumbling, background contrabassoon, or something like it) was also a special element. The tenor was Andrew Staples as Uriel, and from the outset he matched the others in power and sensitivity, both in the recitatives and arias such as ‘In native worth and honour clad’. My neighbour in the next seat rightly approved the articulation of the singers and especially the choir, obviously under very skilful direction, who gave us energy infused with celebration: not only in ‘Light!’ ‘Awake!’ and ‘alleluia’ but in the more softly lambent passages too. 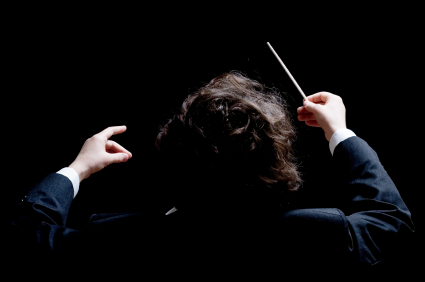 As to the SCO itself, the very high standard established by the players, maintained here by HarryChristophers as guest conductor, is a lasting source of pleasure. Every section, along with the singers, through their skill, subtlety and commitment helped turn me round to appreciate what I had somehow missed before.